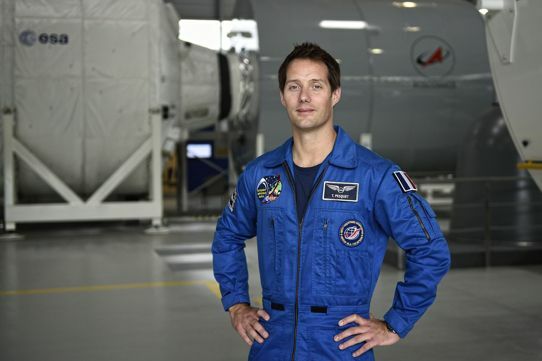 After 6 months of life in space as part of the Proxima mission, French ESA astronaut Thomas Pesquet will land on Friday, June 2, 2017, in the middle of the afternoon (4:08 p.m. Paris time), aboard the Soyuz capsule which is expected to touch down in the Kazakhstani steppes. On the station, he carried out scientific experiments developed by the research team from Inserm Unit 1093 “Cognition, action and sensorimotor plasticity” (Inserm/Université de Bourgogne). The perception of spatial markers among astronauts in zero gravity, space adaptation syndrome through study of the inner ear and cognitive function, biological risks and individual susceptibility to radiation in space, together with the determination of energy needs during spaceflight are some of the themes explored by Inserm researchers. Once the French astronaut returns to earth, Inserm researchers will be able to study accelerated aging and potential bone changes related to spaceflight. Read the press release “Minimum effort for maximum effect“, published on December 2, 2016.